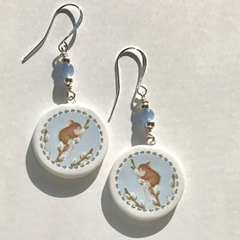 These Limited-Edition Easter and Spring Earrings are exclusively created for House-Mouse Designs by artist Nancy Revoir Dezotell . 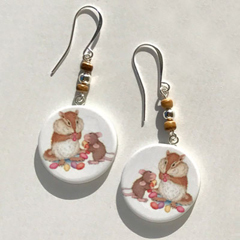 Each pair of our Easter and Spring earrings have a decorative bauble which will include a stone or clay accompaniment with beautiful long, elegant, silver plated ear wire complimenting the image displayed. 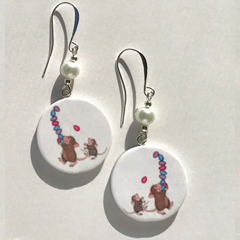 These Limited Edition earrings are a perfect gift for all of your friends, family and / or just treating yourself. 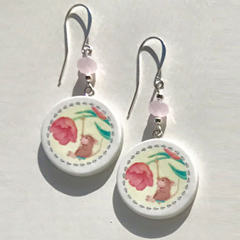 They arrive nicely packaged in individual gift boxes ready to bring a smile to the lucky recipient. 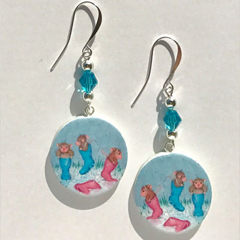 Each earring measures roughly 7/8" diameter. 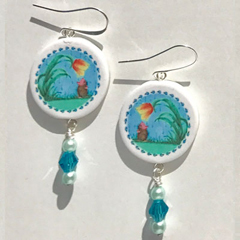 Price per set: $24.00 / 2 sets: $22.00 set / 3 or more sets only $20.00 a set. 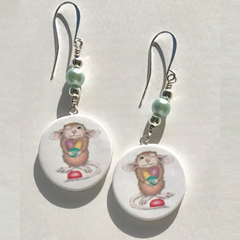 Click here to go to our Earrings Home Page.